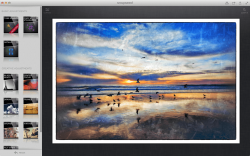 Snapseed is an application that will actually make editing photos easy and enjoyable. The interface is set up so that literally anybody can use it without any sort of learning curve. This application is a breath of fresh air because it is not nearly as complicated as applications like Gimp or Photoshop. 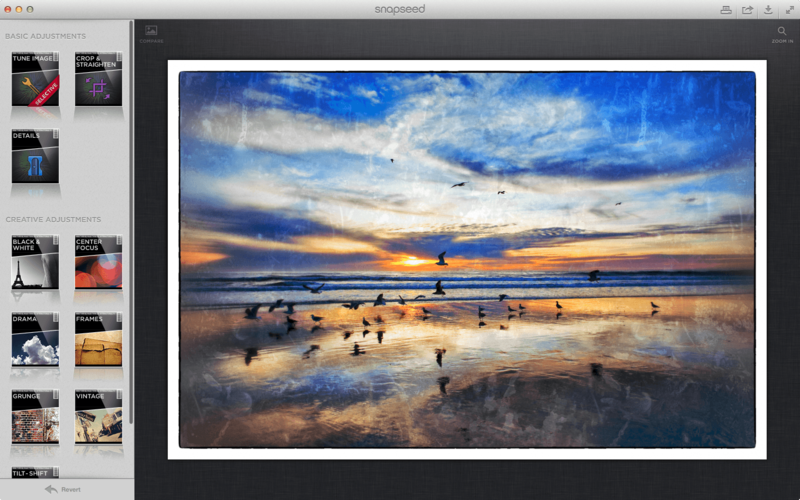 Snapseed is generally designed for the Mac user who has no photo editing experience but would still like to make their pictures look high-quality. Snapseed has all basic photo editing features and even includes preset adjustments so you can get a finished product even quicker. They just recently added supported for social sharing, which makes the experience even more user friendly. This application does have a couple features that I wish they had included, especially for the price that’s being paid. For starters, there is no iPhoto integration. Lacking this feature in absolutely unacceptable for a Mac application. Ideally, you should be able to open photos from your iPhoto library, edit them, and then have them automatically update. This seems like the most logical way to handle your pictures. Furthermore, in my opinion, a big test for photo-editing applications is how the pictures look when they are printed. Unfortunately, Snapseed failed this test. The pictures when printed, look very pixelated and nowhere near as nice as they look on the computer screen. This leads me to believe that the techniques used for the editing process are not very high-quality at all. Snapseed will generally serve amateur photographers quite nicely, especially those who are only interested in making minor adjustments and emailing them or sharing them digitally. However, if you are headed towards a professional career in photography, I strongly recommended staying away from this application. Not being able to print your photos in high quality makes Gimp and Photoshop seem much more attractive. Overall, I think the application can be incredibly useful but only to a select few type of people, such as people who are not very tech-savvy.